Combining sporting style with modern design, Lacoste presents this Men's White Dial White Silicone Strap Watch. 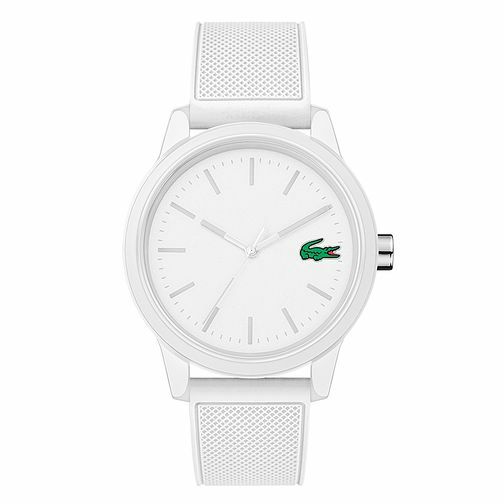 Boasting a sleek all white case and straps, the dial features the iconic Lacoste crocodile subtlety imprinted on the dial. The perfect watch for the modern day stylish man.